A shirtless mega hunk travels through time with a precocious young genius in "Voyagers!," America's primetime answer to "Doctor Who." 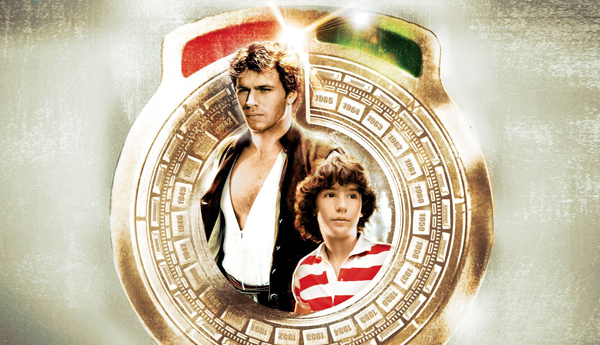 The action/adventure series aired on NBC from 1982-1983 and starred the late, great John-Erik Hexum ("Cover Up") and Meeno Peluce ("The Amityville Horror"), and a host of great guest stars as famous historical figures, including Jonathan Frakes ("Star Trek: The Next Generation") as Charles Lindbergh, Gregg Henry ("Guardians of the Galaxy") as Teddy Roosevelt and Julia Duffy ("Newhart") as Nellie Bly. "Voyagers!" lasted one full season and got pretty danged good ratings, but it was canceled anyway. The question is, was it Canceled Too Soon? Our hosts William Bibbiani and Witney Seibold delve into the strange mythology of the show, the tragic fate of John-Erik Hexum, and every unusual episode of this ambitious sci-fi series!